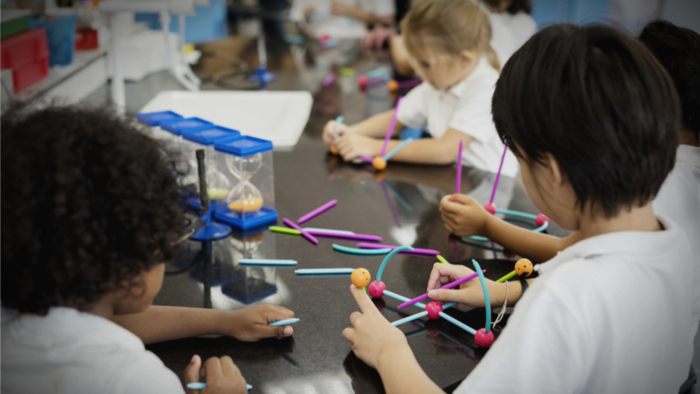 • Researchers at the University of Melbourne outline the steps for students to achieve “connectedness” in the classroom that will lead to greater flow of learning. • Why is it important for students to feel connected to the teachers and environment that they are learning in? • Read about the significance of emotional health and school environment. Most of us have memories of our days at school—usually some good and some not so good. But the chances are the good memories arose when we felt cared for and valued by our peers and the adults who helped us learn. These positive relationships are an important part of “school connectedness”—the degree to which students perceive the people, places, and activities they experience in a meaningful and important manner. We are researching connectedness in primary and secondary schools to help find ways to build and strengthen this important plank in the education system. As part of this, we are investigating how connectedness links with factors like loneliness and school achievement. “Attending” is self-explanatory. For students to experience “belonging,” they will typically have positive experiences of school, feel their values align with the school’s, and have good relationships with their peers. Once they become “engaged,” we see them becoming future- and task-focused, modeling positive behavior to their peers, demonstrating good planning skills, being motivated, and being free to learn without fears of not being a full member of the class or school. At the final stage of the model, when students are in a state of “flow,” they are extending themselves beyond the familiar, experiencing intense immersion, involved in activities that are highly challenging and rewarding, which leads to transcendent levels of achievement. Interested in learning more about Education? Other readers at Giving Compass found the following articles helpful for impact giving related to Education. Giving Compass Take: · Lynn A Karoly discusses how New Hampshire has fallen short in providing for early childhood education needs for the state and how the state can be strategic in planning to address these needs with evidence-based education. · What steps does New Hampshire need to take to provide better early childhood education? · Read more about investing in early childhood education. New Hampshire is often hailed as a state where children’s well-being is high relative to other states. However, a 2017 RAND study pointed to the substantial share of children in the state who are at risk of adverse developmental outcomes because of low family resources and other factors that can compromise healthy development in the first few years of life. Further, available funding streams—primarily federal funds—for early childhood interventions such as Early Head Start, Head Start, and home visiting through the Maternal, Infant, and Early Childhood Home Visiting (MIECHV) program are not sufficient to reach all New Hampshire children and families who could benefit. The RAND study also estimated that New Hampshire would gain from further investments in two types of evidence-based early childhood interventions: home visiting and preschool education, with estimated returns of $2 to $6 in benefits for every $1 invested. Despite this potential return, New Hampshire has fallen behind other states that have recognized the value of further investments in early childhood programs. The state’s contribution to home visiting is modest, and New Hampshire is one of seven states that does not use state dollars to fund preschool, either through public schools or private programs. Given the unmet need and potential for positive economic returns, the RAND Corporation was asked to identify ways that New Hampshire can be strategic in making new early childhood investments, with a focus on evidence-based home visiting and high-quality preschool. RAND researchers assembled data across communities in the state (defined by school districts) to understand the variation in the factors that place children and families at risk and where publicly funded early childhood programs are currently available. Recognizing the limitations of the available community-level data, in-depth information was also collected for four communities—Claremont, Manchester, Nashua, and Coös County—to understand local implementation of early childhood programs, including innovative strategies and challenges. Analyses of the indicators and focal community experiences support recommendations for strategic investments in evidence-based early childhood programs in New Hampshire. Read the full article about investing in early childhood education by Lynn A. Karoly at RAND Corporation. If you are ready to take action and invest in causes for Education, check out these Giving Funds, Charitable Organizations and Projects related to Education. Are We Pushing Students Toward the Wrong Kinds of Success?